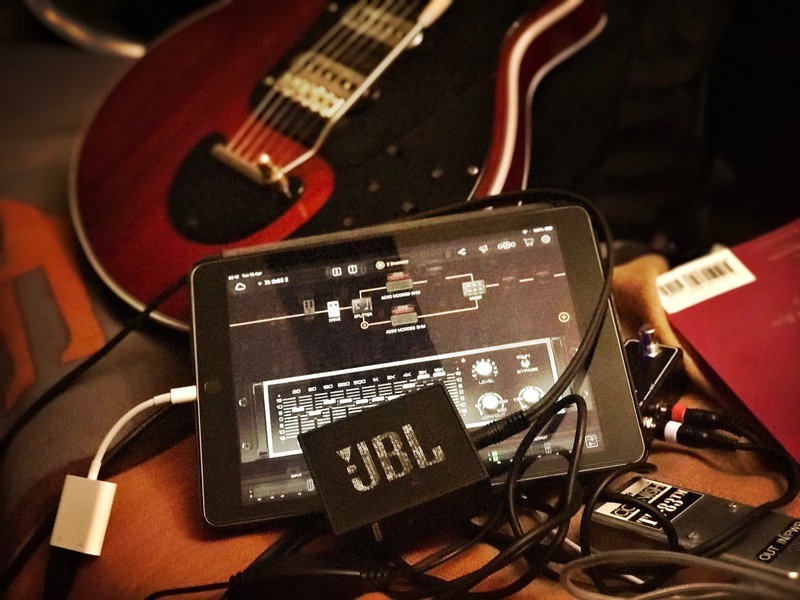 I use Bias FX on an iPad with a little JBL speaker for practicing backstage, at home etc. I have been obsessing about some of the possibilities of the software as it is quite powerful. The amps used were Bias Amp, which lets you build an amp (or alter a well known one) and Bias Pedal, which lets one build a pedal and also capture a tone curve from one. Modelled my treble booster – it’s a Pete Cornish TB83 which Brian May used throughout the Queen glory days. It’s that useful that if I had to use it at a gig I’d probably be OK with it and it means that I can that big tone on my iPhone or iPad by just plugging in an audio interface. If you’re using Positive Grid apps you can find the patch by searching for “Queen Brian May TB83” or if just using Bias Pedal you can find the modelled treble booster by searching for “TB83”. Here’s video for rough idea on how it sounds.